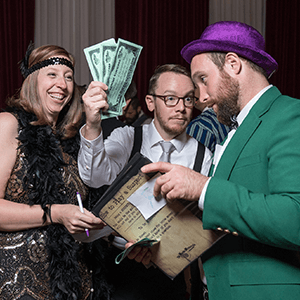 Take your next Nashville mystery party to the next level with two hours of immersive, Clue style entertainment that is a one-of-a-kind experience for each guest at your party! 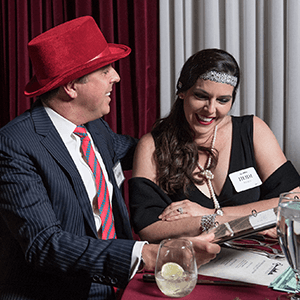 Live-action murder mystery parties are Nashville's most unique and engaging way to entertain for privately hosted events. 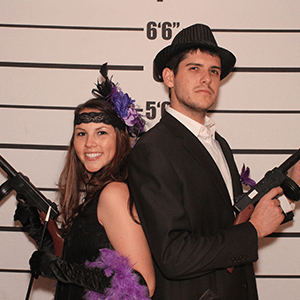 The Murder Mystery Company is Nashville’s Expert in Mystery Entertainment. 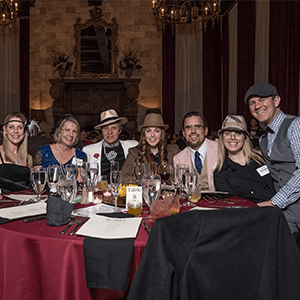 Planning an event for a group of friends or family members? Just trying to plan an interesting night without the TV and remote? We’ll take it from here. Come check out our killer public show in Nashville, or set up a private show for your specific event! 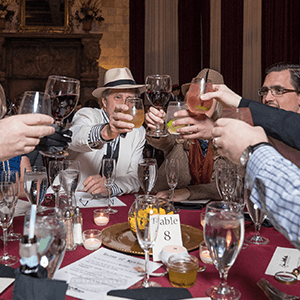 Dig into a tasty three course dinner and a murder in Nashville with a killer show from The Murder Mystery Company. 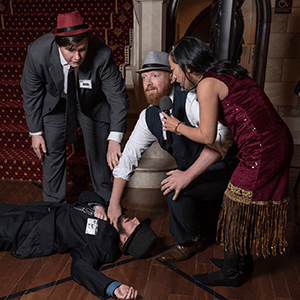 A murderously fun night is lurking right around the corner, all you have to do is reserve your seats before they run out! Have fun dressing up to the different themes, and bring your detective hat.